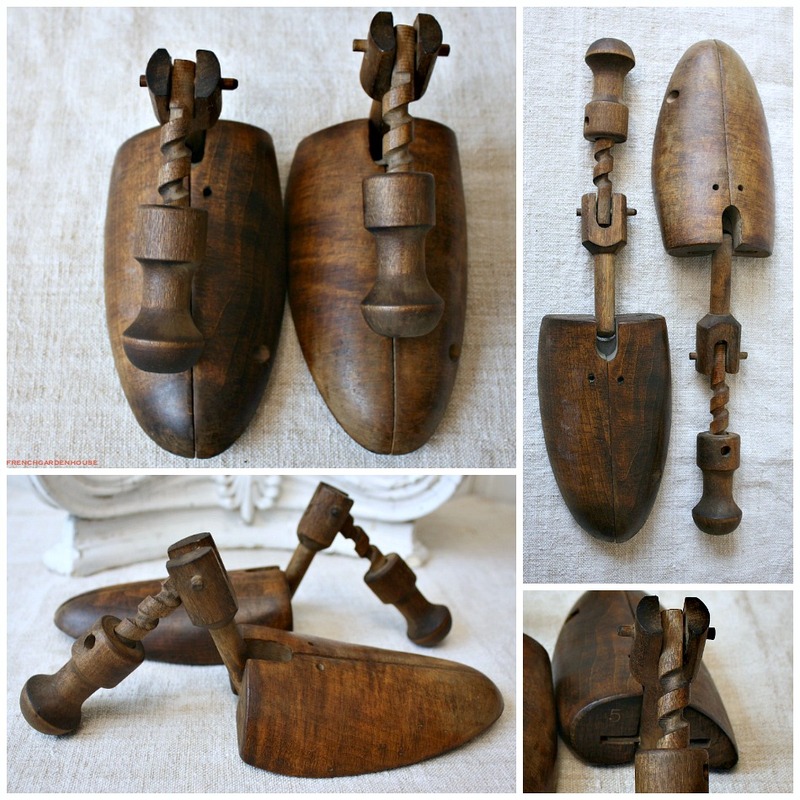 From a exceptional gentlemen's collection of shop antiques, these rare 19th century wooden shoe form stretchers are hand carved works of art to display in your home. 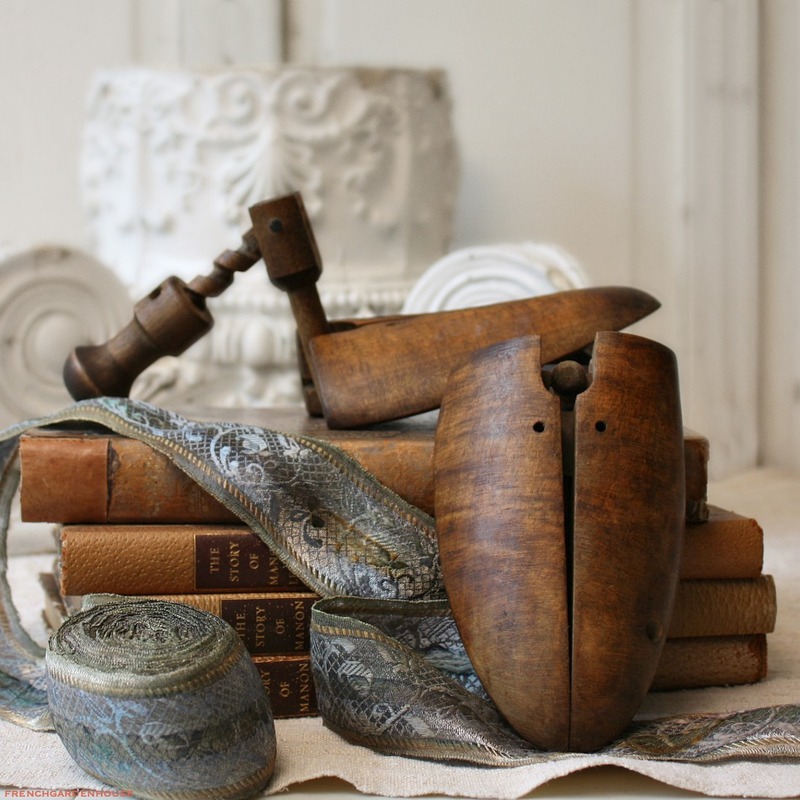 Beautifully carved of wood with a stunning patina, each has a hand carved turned screw end for adjusting the size, so amazing and decorative. 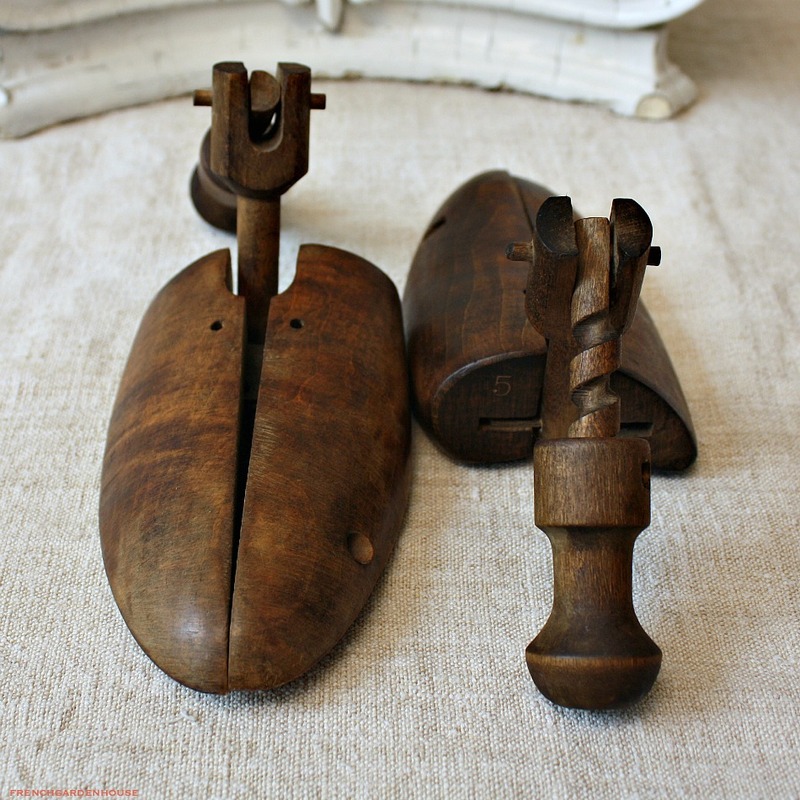 A superb pair of right and left shoe stretchers, hand crafted with skill and care. A number 5 size is impressed on both. 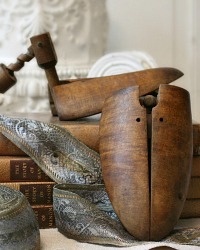 Perfect to showcase your own style, sophisticated but with a lot of personality, use these in a gentleman's office, dressing room, walk~in closet, or display them on a stack of French books in your contemporary living room. Sculptural and equally at home in a French country, Victorian, contemporary or eclectic home. Beautiful color, these are sure to spark the conversation! Measure: 10~1/2" long x 2~7/8"w.